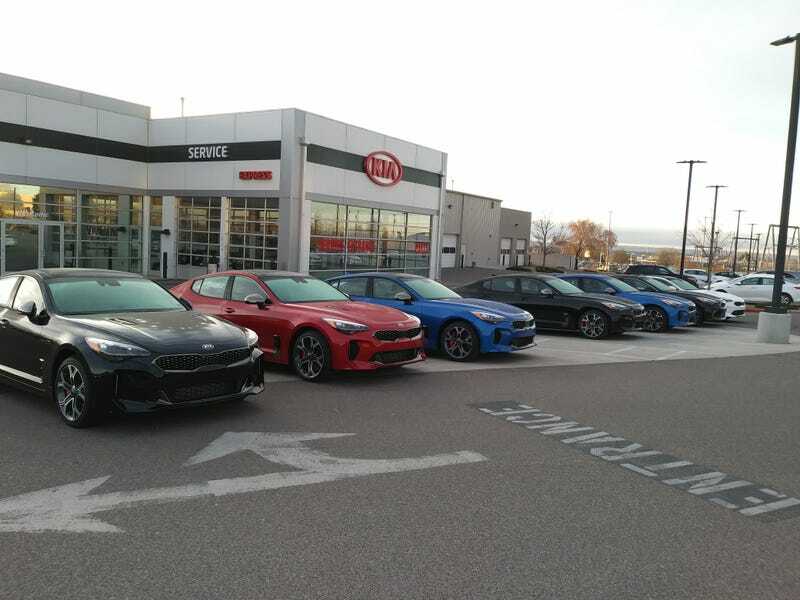 In Albuquerque, New Mexico, 24 of the 36 available Kia Stingers are the GT2s. I’ve said before that the Stinger is the type of car that should average 2,000 monthly sales in order to be truly considered a hit. And have no fear Oppo because every ingredient for severe depreciation is present and plentiful! There are about as many Stingers as there are Fortes in Albuquerque. The number of GT2s (the $50,000+ trim) was 12 out of 16 at Dealer A and 12 out of 20 at Dealer B. Do want, badly! The more of these I check out and drive the more I realize the Stinger is truly something special. Right on hype. Looks like 2016-2028 will be to HMG what 1986-1998 was for the Japanese brands. Greater things are still to come and the good stuff will keep depreciating like a pair of used swim trunks, yeaaah!